The federal government, along with some states, have enacted important tools that help expose corruption and fraud related to contracted services or product purchases by governmental agencies. The False Claims Act is a federal law that imposes liability on companies and individuals who defraud the government. It also allows someone with the knowledge of this fraud to file a whistleblower, or qui tam, lawsuit. There is an incentive for the person who has the knowledge, called the relator in the lawsuit. He or she may receive a percentage of the money recovered by the government, plus court costs and attorney fees. Not surprisingly, there are a lot of questions surrounding qui tam lawsuits and how the process works from the relator’s standpoint. Whistleblower lawsuits are complex, therefore it’s imperative you speak with a skilled Florida whistleblower attorney early on. Here’s a look at some of the more commonly asked questions regarding whistleblower claims. Who is Eligible to File a Qui Tam Lawsuit? A relator can be anyone who reports information to the government. . This means you can be a current or former employee of the company that is engaging in fraudulent behavior, or you could be a competitor. 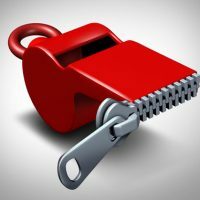 It’s not uncommon that people play dirty to get contracts, so if you lost out on a bid and you know the other party is paying kickbacks, you may be eligible to file a whistleblower lawsuit. Do Whistleblowers Have any Protection Under the Law? Yes. There are a number of different laws designed to protect whistleblowers. Laws like the False Claims Act and the Dodd-Frank Act are two of the commonly used whistleblower provisions. What Type of Evidence is Needed to File a Whistleblower Lawsuit? Whistleblowers aren’t required to witness the misconduct firsthand, but he or she needs to have solid and concrete evidence. You can’t just suspect something is going on. While you don’t have to get documents related to the misconduct, it’s certainly beneficial. What Type of Misconduct or Fraud is Covered Under Whistleblower Laws? No matter whether you are reporting fraudulent behavior internally or to the government, retaining a West Palm Beach qui tam lawyer is important. The attorneys at McCabe Rabin, P.A. specialize in whistleblower cases and have the necessary experience to help guide you through the entire process, even if you opt not to pursue. Contact us online or call our office at 561-659-7878 to schedule a consultation.